There are many people who would like to argue that in the US, we’re fine. Yeah, we’ve got some issues, but we’re on the up and up. They’d like to say that we don’t need social justice, or social justice warriors. So in honor of World Day of Social Justice (February 20), let’s start by talking about what social justice is. As a basic definition, it’s justice in terms of the distribution of wealth, opportunities, and privileges within a society. Even just examining the headlines from the past two weeks, it’s abundantly clear that we are nowhere near achieving social justice. Miami Worker’s Center hosted a campaign management training, facilitated by The BLUE Institute. This exclusive training was for a new generation of women and non-binary leaders of color who will impact politics for generations to come. Here Comes The Boom! : An Assembly for Black Women and Girls, presented by the Femme Agenda, had its first successful launch at the Miami Dade College Wolfson Campus with over 300 attendees. Here Comes The Boom is a leadership conference for black-identifying women; a follow-up to last year’s Florida March for Black Women. Miami Workers Center co-hosted this years' Regional Feminist Organizing School. Earlier this week marked the 5th anniversary of the Rana Plaza building collapse, which occurred in Bangladesh on April 24, 2013. On that day, 1,127 textile industry workers died and more than 2,500 people were wounded. The majority of the victims were women, many of whom ended up unable to work again. It is, to this day, the deadliest disaster in the history of the garment industry worldwide. International Women's Day was birthed out of the unrest and dissatisfaction of many generations of women. These periods of agitation, time and time again, have propelled us forward for many years. From the uprising of Black and Brown women, we have created affordable housing, equal pay, women's suffrage, Civil Rights, and we are still unsatisfied. Yuleidy González-Nieto, a victim of abuse since childhood, says she is glad that a lot of people have come forward with #MeToo, but the movement is "like getting punched in the face." “It’s just always there and it makes it harder to hide from it," said the Colombian immigrant. Milagros Jiménez habla sobre sus experiencias con acoso y violencia en el Círculo de Mujeres en el Miami Workers Center, el martes 12 de diciembre del 2017. Jennifer Hill of the Miami Workers Center says the state never created a separate online application for handling disaster unemployment claims, as opposed to regular unemployment claims. So anyone who is self-employed, for instance, and tried to file using the current system would immediately get kicked out. South Florida joined to honor, respect and support Black women during the March for Black Women on September 30, 2017. The march featured several hundred participants and speakers from a range of backgrounds and experiences. Click through for pictures and news coverage. In partnership with the ACLU, and other allies, the Miami Workers Center helped defeat an arcane and repressive law that looks like something out of the Handmaid’s Tale. After a mass eviction orchestrated by the slumlord of a Section 8 high rise, the Miami Workers Center (MWC) is helping organize residents of the Civic Towers into a tenants union to fight for repairs and access to their homes. With the slumlord non-responsive and local laws unhelpful to anyone but developers, the residents are building a shantytown on the grounds of the Civic Towers to shelter residents and protest conditions. Join the Miami Workers Center and several other community organizations as we center the experiences of Trans Black women, Black women, Black femmes and Black girls… all Black women. 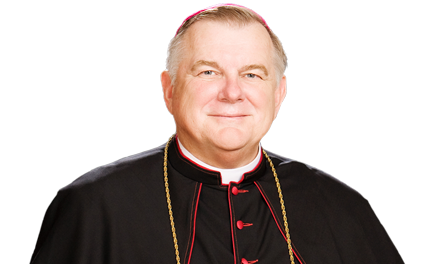 Right after International Domestic Workers Day passed on June 16th, Miami Archbishop Thomas Wenski offers a special mass to recognize the work and contributions of domestic workers to our local economy and to our families.